In the Empire, rats as tall as men are just a story told to tame unruly children. Nobody really believes the skaven have their own empire, spreading for leagues beneath the surface of cities like Ubersreik. And the governors of the Old World’s Germanic strongholds endeavour to keep it that way. Well: the governors failed, and then some. The Old World ended – literally ended, with skaven claws clattering about human streets. 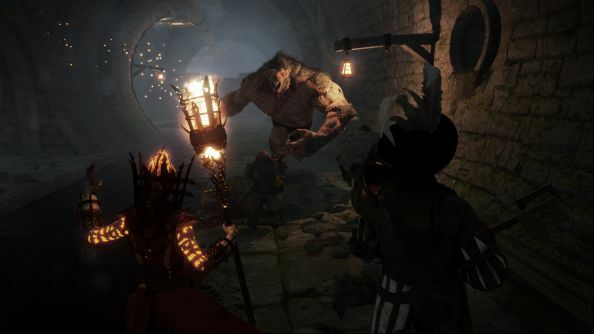 Vermintide is a snapshot of the apocalypse, played out in first-person co-op. It’s out today. Looking for something to play with your Steam friends? Here are the best co-op PC games. You’ll take either a Witch Hunter, Waywatcher, Empire Soldier, Dwarf Ranger or Bright Wizard from the top of the Magnus Tower to the soggy bottom of the Under Empire, working to master the complimentary playstyles of the five classes. Sound like your sort of thing?